Thanksgiving is almost here, and I couldn’t be more excited! This year, my wife and I are just staying home and enjoying a little staycation. But that won’t stop me from making a Turkey Day feast that could easily feed 6-8 people! I mean, you can’t really make a half-turkey very easily. Then there are the traditional side dishes. (My wife and I both make different stuffing recipes that are family favorites, so we have enough stuffing for an army.) And of course there are the desserts. So needless to say, I think we’ll have enough leftovers for quite a while! That’s quite alright with me because one of my favorite leftover dishes are these Tasty Ham Sliders with Pecan Butter Spread. They’re simple to make, taste delicious, and a great way to use Thanksgiving leftovers! 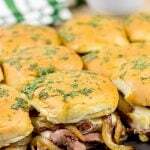 (And yes, these sliders work great with leftover turkey, too.) Since there are so few ingredients in these sliders, I recommend using the highest quality ingredients and best-tasting butter you can find. I personally always use Land O’ Lakes Unsalted Butter. 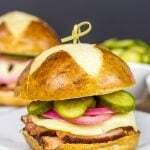 These Tasty Ham Sliders are also an excellent appetizer for holiday parties. When I was growing up, my parents would always throw a huge holiday party. My job during these parties was to basically disappear. I would take the dog and my little sister upstairs and we’d have a little party with just the three of us. (Sometimes the dog would escape and run downstairs which led to a bit of dog-chasing fun. And sometimes my sister would escape and run downstairs which really led to some fun party games.) But near the end of the party, we were allowed to come downstairs and visit with the remaining guests. By visit, I mean head to the table to see what sorts of appetizers were left. 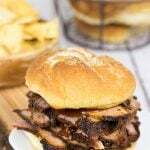 Since my mother always made a ton of these Tasty Ham Sliders, I knew I could always count on these as a late-night snack! 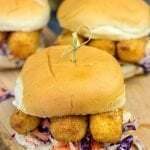 If you have an office or neighborhood holiday party coming up, I highly recommend bringing a big plate of these delicious sliders. Have you noticed that no-one ever volunteers to bring the “main course” to holiday potluck parties? There is always more than enough veggie sticks, cheese cubes, and desserts…but there’s never any “real” food. 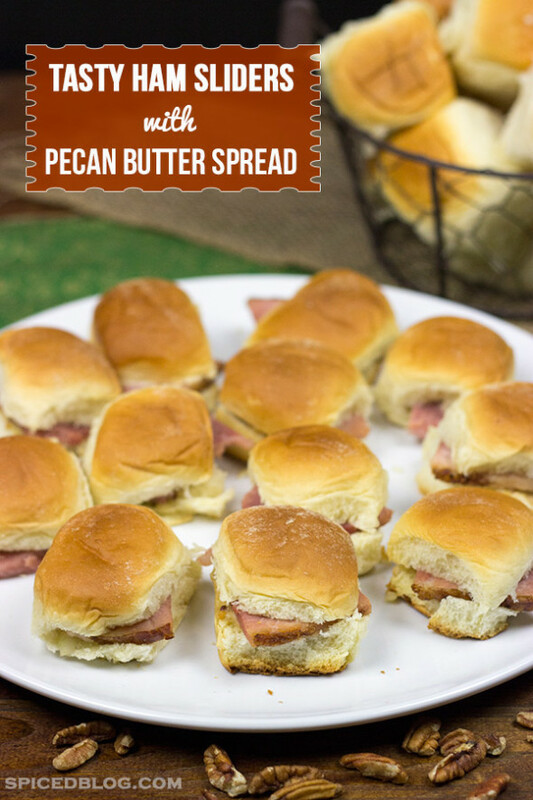 Solve that problem by bringing these Tasty Ham Sliders with Pecan Butter Spread! 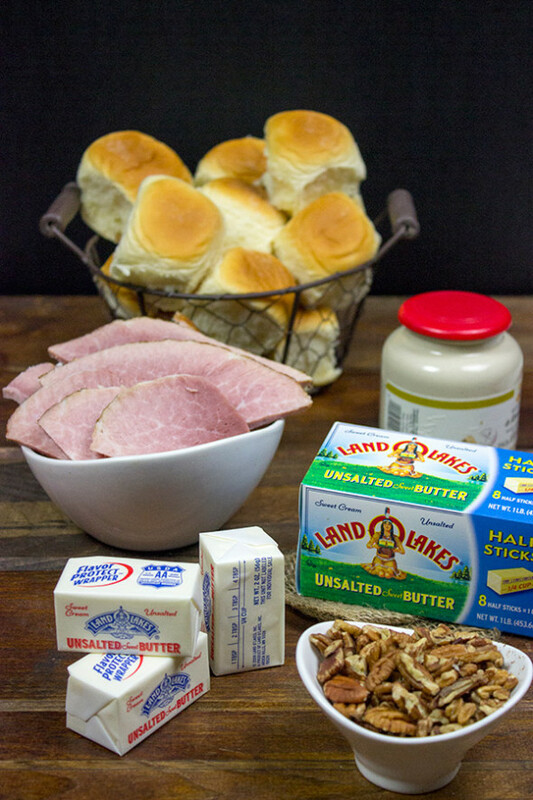 Or if you are out at the store picking up last-minute holiday ingredients this week, make sure to grab a pack of dinner rolls and some Land O’ Lakes Unsalted Butter. (And make sure you hide them away for the day after Thanksgiving!) 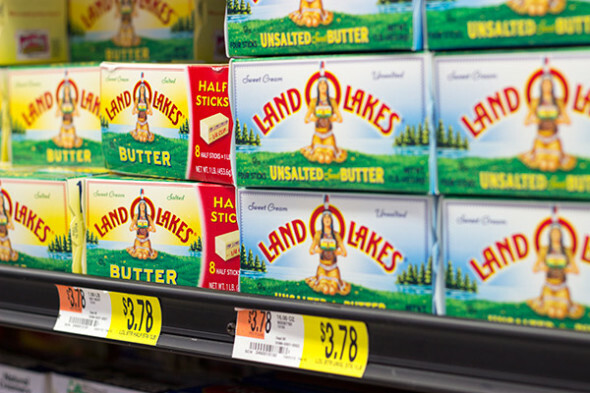 I was at Walmart yesterday grabbing some ingredients for an entirely different recipe, and I still picked up a couple boxes of Land O’ Lakes butter. I always keep a secret stash of butter in the fridge…after all, I can’t risk running out at this time of the year. 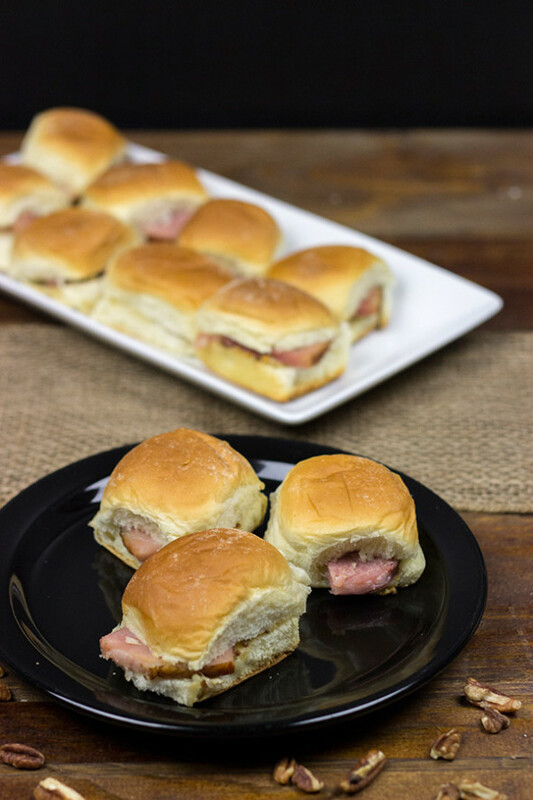 There’s too much holiday baking to do…and too many of these Tasty Ham Sliders to make! Place the chopped pecans on a sheet pan and bake at 350°F for 6-7 minutes, or until toasted. 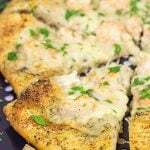 In a medium bowl, combine the softened butter, toasted pecans, mustard, diced onion, Worcestershire sauce, and shredded Swiss cheese. Mix until fully combined. Slice each roll in half and spread the butter mixture on the bottom half. Add a piece of cooked ham and top with other half of the roll. 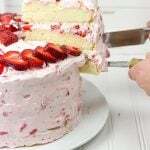 Bake at 400°F for 13-15 minutes, or until butter spread has melted. 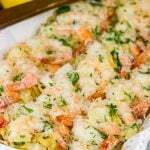 It is important to use softened (not melted) butter for this recipe. Either leave the butter at room temperature for 1-2 hours or melt with short bursts in a microwave until soft but not melted.